For personal use only. If you wish to use it in a MARK group our special event please contact [email protected]. 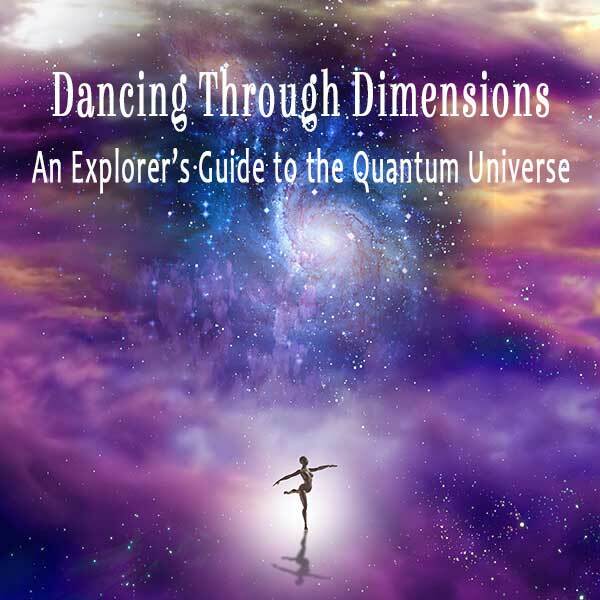 Dancing Through Dimensions—An Explorer’s Guide to the Quantum Universe! For the first time ever, international spiritual teacher, author and ‘Spiritual Indiana Jones’—Jonette Crowley—brought together in a single day both explanation and experience of our multi-dimensional Universe. This is a summary of her nearly 3 decades of explorational research into the worlds beyond the physical. Explanation—You’ll understand how the first 10 dimensions fit together, giving you a map of the higher worlds. Jonette explains how you can recognize and sense each dimension. Experience— Jonette channels MARK to bring you experiences of the higher planes. You’ll feel God Consciousness, being holographic, the zero point and quantum void. You’ll know what it is like to expand into quantum potential, tasting multiple simultaneous dimensions. Finally you’ll experience the complex oneness of the 10th dimension— Relativity. Updating Your Consciousness— Your reality is a reflection of the state of your consciousness. Every time you experience these higher dimensions clearly and concisely, the very structure of your consciousness evolves. You expand your ability, giving birth to your multi-dimensionality and all the miracles the Universe now has to offer you! Video 1: Exploring Our Multi-Dimensional Nature - An introduction to Jonette's 30 years of experiential research into the higher dimensions of consciousness and where we are now. Video 3: Understanding The Road Map and the First Five Dimensions - Jonette guides us to experience 3-D physicality much more fully. We then accelerate our personal vibrations in the 4-D. In the 5th dimension we receive an activation of sacred geometry and codes— all rapidly lifting us to a much higher level of being! Video 4: 6-D Power vs Force and 7-D Holographic Consciousness - In 6-D we move beyond doing into being, feeling the power of magnetism, rather than using force. 7-D or holographic consciousness takes us into non-local awareness, breaking us permanently out of the limitation of a singular perspective. Video 5: 8-D Quantum Consciousness and Zero Point; 9-D Quantum Potentials - We take our awareness beyond space/time, experiencing the quantum void or stillpoint, then we experience the space of infinite possibilities. Here we are truly multidimensional beings, accessing any time-line, any knowledge, manifesting any potential. Video 6: 10-D universal Connectivity - We begin to fully realize the interconnectedness of everything through all time. We expand to experience ‘the space between’, where the relationships, not the objects, become fundamental. This world view propels us out of everything we have ever known. It is the next step in being a multidimensional human. Video 7: Wrap Up and Audience Interaction - Learn how the studio audience experienced these higher dimensions and compare their reactions to what you got. Begin to feel into how this will impact your life.